With CauseVox, you have the flexibility to change the look and feel of your campaign site without needing to code. Each page of your campaign site can be easily edited through our Site Editor. 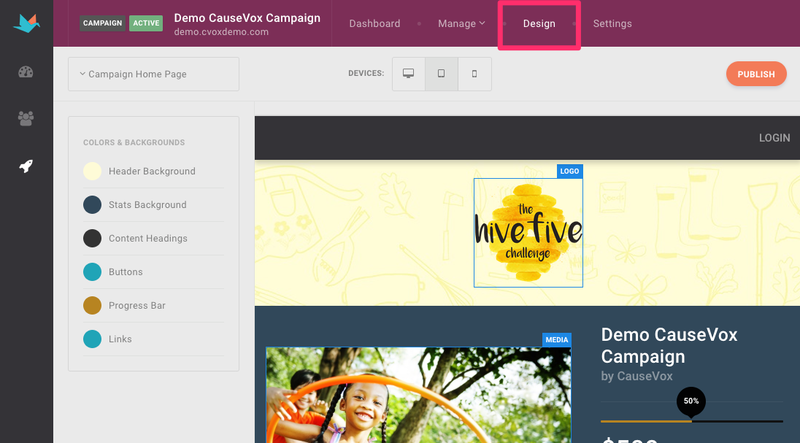 The Site Editor is a visual interface that helps you change the design and appearance of your CauseVox campaign site. 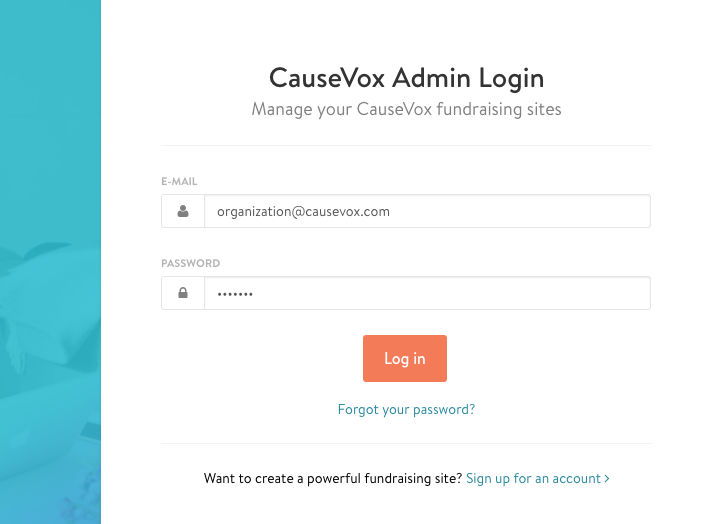 Step 1: Log into your CauseVox Admin account here. 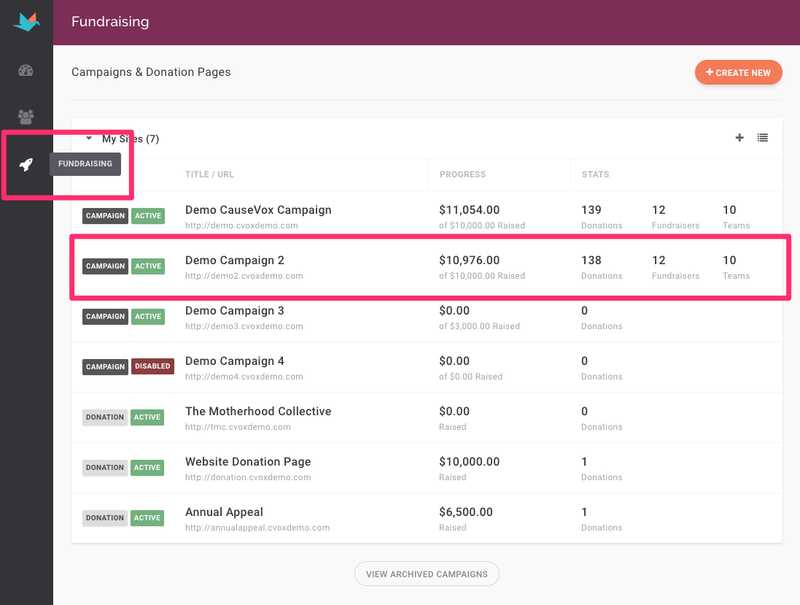 Step 2: Click on the Fundraising icon on the left, and select your campaign site in the campaign site listing page. Step 3: Click on the Design section of the top menu bar.